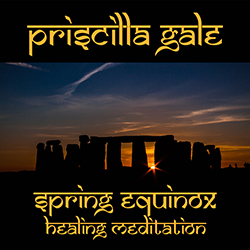 Experience a guided healing meditation marking the longest day of the year, celebrating an opportunity to share in the sun’s warmth and embrace our own inner light. The 3rd chakra is said to be where the sun’s light enters. This chakra is all about understanding your personal power and transforming it into action. With self-discipline and confidence, we know the power and the freedom we have to take control of our lives. Experience a guided healing meditation at this midpoint of the year when light and dark are in balance. We seek to balance the light and dark within ourselves, making powerful choices for ourselves and to experience a deeper connection and conscious oneness with all life. 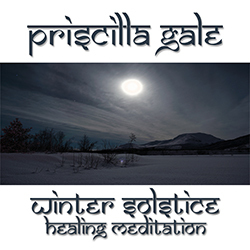 Experience a guided healing meditation marking the longest night of the year. A sacred time of both celebration and reflection. At this darkest point of the year, light begins its journey of re-emergence. 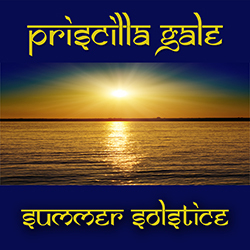 As we call back the sun, we feel the teachings of completion and transformation as we emerge from the darkness into the light of a new season and a New Year. 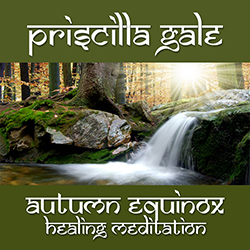 Experience a guided healing meditation as we mark the arrival of the season of Fall. At this harvest time of abundance, we celebrate and give thanks for all that we are and all that we have received. A time to restore balance within ourselves, our communities and the world. A time to let go of what no longer works for you. A time for cleansing and to meditate on the year that is now completed; a reminder to celebrate every moment of every day. 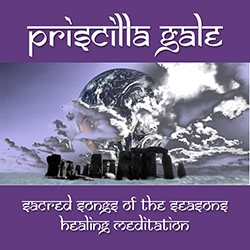 This box set holds guided meditations for healing, reflection and celebration throughout the year. From letting go of what no longer serves you, planting the Spring garden of your soul to seeking the wisdom in the stillness of Winter’s song, allowing yourself the peace and freedom to release and then manifest what you need, embracing the wisdom and fullness of your highest self. 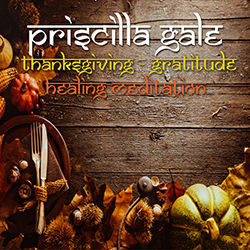 Experience a guided healing meditation at this final harvest time of abundance, as we celebrate and give thanks for all that we are for all that we have received. This is a time to reflect on the Season now past and to cleanse and nourish spirit by meditating on what we have successfully and beautifully created in our lives. A reflection of joy and a celebration of life.